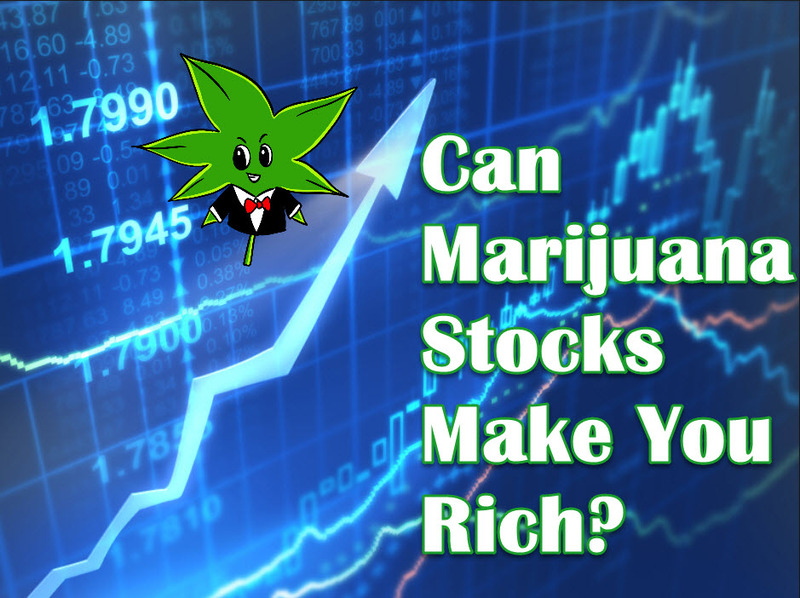 Can Marijuana Stocks Make You Rich? It’s no secret that legal marijuana is a lucrative business. Sales from medical and recreational marijuana are expected to hit $22.8 billion come 2020, according to cannabis research and investment firm The ArcView Group, so it’s no wonder everyone is clamoring to get a piece of the pot pie. Marijuana is legal in certain states but not the federal government, which can make investment seem rather complex and risky for those who aren’t familiar with the market. However if you do your homework and ensure that you only invest what you can afford to lose, there’s a huge potential to earn loads of greens. Marijuana Stocks. Cannabis Stocks. Weed Stocks. 420 Stocks. Pot Stocks. Wait, Can Marijuana Stocks Make You Rich? From Under The Influence with Marijuana Man: Not Pot Stocks ... Pot Stalks!